Our team returns from Bordeaux with their minds firmly made up on where their allegiances lie on quality. Here we ask Fine Wine Private Account Sales Manager Martyn Rolph to choose his top picks on what to be buying this year. The late frosts may have affected volumes for some unlucky vignerons (those with vineyards close to the river were far more fortunate) but the quality we found was a welcome surprise. Inevitably comparisons are made to recent vintages, the excellent (even magical in many instances) 2015 and 2016’s set an impossibly high standard. 2017 did not allow for wines with those levels of concentration, it is on the whole a medium bodied vintage. Purity, elegance, silkiness and freshness are the bywords for 2017. There are many attractive wines, some supremely so. The fruit characters are pure and well defined, not overripe or conversely, in any way, green. Tannins are ripe and fine. Abundant acidity creates the freshness and linear feel. The wines have good length. There is lots to like. I didn’t find the consistency of a “great” year, the volume of fruit and depth across the palate sets some wines apart from others. We’ll need to be more selective in our choices, hunting out the wines which possess generous flesh and layers of fruit, as opposed to the leaner offerings. For me, this vintage has echoes of 2001 – a vintage I love. Delicious, fresh and elegant wines which are now impressing us all. The fruit characters are perhaps more defined and the tannins finer. The wines will drink well young but have the capacity to age well. Overall, this is a vintage to embrace – I am sure that 2017 will provide huge drinking pleasure in the future. Below are ten picks, wines which stood out across three distinct price levels. Probably the wine of the vintage for me, so much here to be excited about. Layers of mineral laden cool fruit, expansive mouthfeel. Sophisticated and refined. Very long. Another candidate for my favourite wine of 2017 – quintessential Margaux, lifted aromatics, remarkably pure and defined fruit. Electrifying intensity and energy, and is impossibly silky. 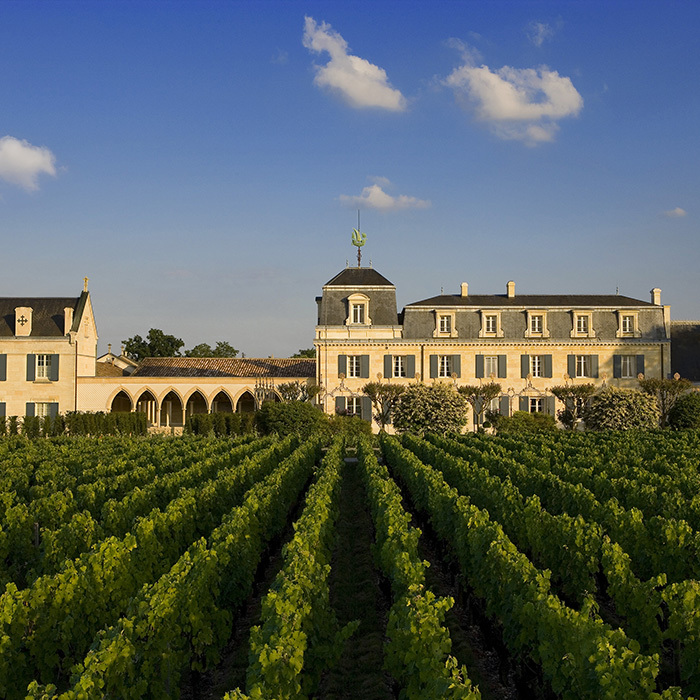 In recent years Pichon Baron has enjoyed a points victory over its neighbour, so was the case this year. Black and blue fruit dominate alongside notes of graphite and black pepper. Notably more flesh here than in some Pauillac wines. Superb balance with great tension and ageing potential. Volumes are significantly down, but the onwards march of Figeac continues. Cassis and blueberry fruit, lifted aromatics with a graphite edge arise. Lots of fine tannins, multi-layered, very generous. It is seamless across the palate. This second growth Château is now making wines worthy of its position and is very expressive in 2017. Floral and perfumed with black cherry fruit. Medium bodied, this is all about purity and finesse. Linear in style, persistent. Amongst the most beautiful and historic properties in Bordeaux, this has become a “go-to” wine for me in recent years. Expressive black and red fruit, it is very complete with fleshy cool fruit across the palate. I’ll be buying this again this year. Always a delight tasting here, such a friendly atmosphere. Ripe cassis, good intensity and a juicy palate thanks to the big acidity. Good flesh across the palate. Ultra-fine tannins, very long. This property was recently purchased by Ch. Canon, so a very bright future awaits. Red and black fruit abounds with good density. It is cool and pure, and the balance sets this apart. Harmonious throughout with good length. As ever, a firm favourite. The quality and consistency of Cantemerle bely its modest price tag, is there a better value wine in Bordeaux? There is lots of Cabernet in the blend, hence a real focus to the nose, with dark, cassis fruit. Good intensity, plenty of thrilling acidity across the long palate. Fine tannins. This was the surprise of the morning when it was tasted at Ch. Leoville Poyferre (under the same ownership). Black fruit, violets and an iron-y hint are very typical of St. Estèphe. Silky and juicy on the palate. Generous. I am buoyed at being able to recommend many 2017’s with confidence. The unknowns of pricing and release timing still remain. We’re used to seeing a few châteaux break cover in late April but May is still likely to be the month when we really get going. Price wise? Few Bordeaux releases are priced at the level we’d like, as ever we hope for sensible pricing and will seek to guide the best we can. If you would like to study a vintage report from one of our Private Client Account Managers and receive offers as the wines are released please contact finewine@bbr.com. We will introduce you to a member of our team and assist you with securing the best possible selection from 2017. To follow all our coverage and keep up to date with the full campaign, click here.